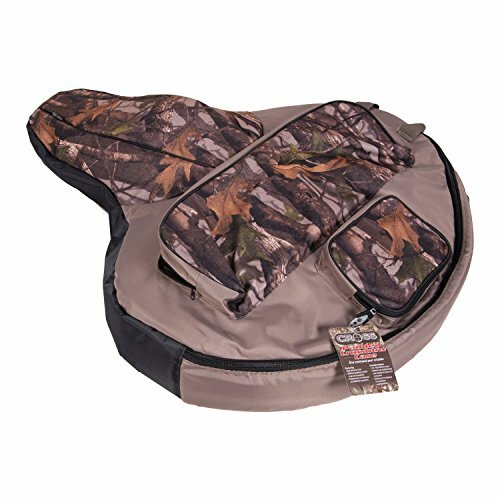 "This soft side case from Barnett provides not only protection for your bow, but offers you easy access to your hunting or shooting accessories. Additional compartments provide room and protection for your quiver, accessory case and more. Details are not missed in this case for user comfort and convenience. The shoulder strap is padded and removable. Cross branded by Barnett"
Crossbow scope featuring a speed selector that allows the scope to be matched to any crossbow shooting between 300-425 fps. Designed to provide aim points at exact 10 yard intervals from 20-70 yards. 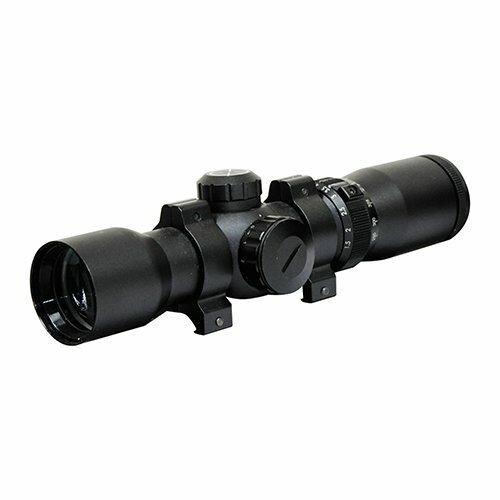 Has red or green illuminated reticles for low light conditions. • Features speed selector; • Can be used with any crossbow between 300-425 fps; • Illuminated reticles; • Provides exact aim points from 20-70 yards. Low light, time for a battery change don't be left in the stand wondering. This 3x32 illuminated reticle scope is not only a Red or green 3 dot sight, but also has multiple reticles for dependable placement when you need it most."" Features: + ADF (anti-dry fire) trigger system + bristle brush Retainer + MIM (metal injected molded) trigger + 7/8 inch Picatinny rails + allows for the Integration of a crank cocking device + finger safety reminders + pass through fore grip. 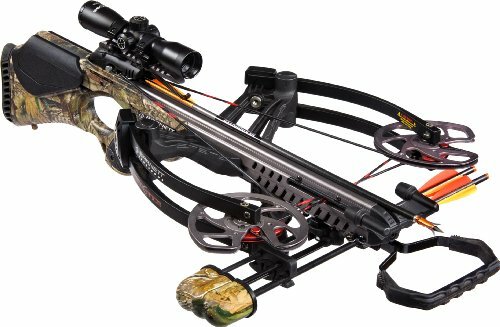 The Wildcat C6 crossbow features a magnesium riser and a lightweight composite stock. Has a metal injected molded trigger with a 3.5 lb. pull. Safety features include: finger reminders, a pass-through finger grip, and an anti- dry fire trigger. Shoots 320 fps. Draw weight: 140 lbs. Measures 26.25" axle-axle. Length of the crossbow: 35.75". 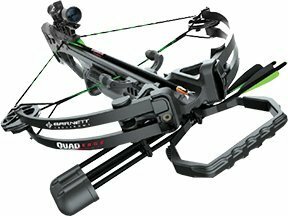 Package includes: 4 x 32 scope, lightweight 3-arrow quiver, 3 20" Headhunter arrows. Features: + ultralight CRT riser + bristle brush Retainer + Anti-Vibration technology limbs + ADF (anti-dry fire) trigger system + MIM (metal injected molded) trigger + 7/8 inch Picatinny rails + allows for the Integration of a crank cocking device + finger safety reminders + pass through fore grip. 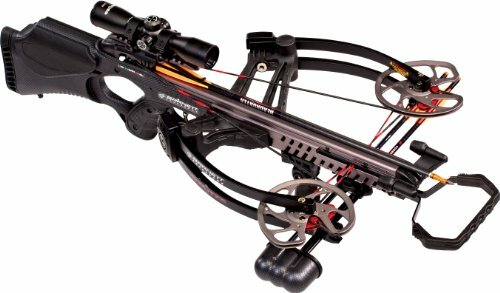 Combine Reverse Limb technology with an ultra-modern Carbon Riser and you get one of the fastest, most powerful crossbows ever from Barnett! 43% of the riser weight has been removed to shift the center of gravity back. Provides enough speed and power for any game. 3.5 lb. ADF trigger. Arrow speed: Up to 365 fps. Draw Weight: 140 lbs. Axle-to-Axle: 18.38". Stock Length: 34.75". Color: Realtree APG. Weight: 8 lbs. Easy steps to sight in a Red Dot Scope. 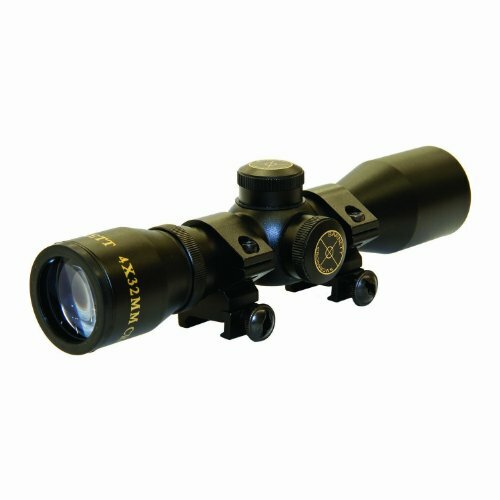 Crossbow Scopes --- How they work and different options! BEST CROSSBOW *SCOPE! * || Ft. CenterPoint Sniper 370! 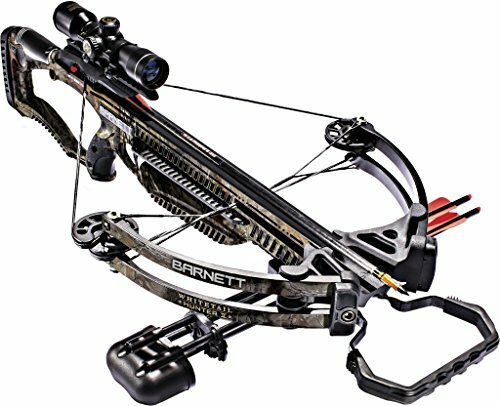 Compare prices on Barnett Crossbows Scopes at ShoppinGent.com – use promo codes and coupons for best offers and deals. Start smart buying with ShoppinGent.com right now and choose your golden price on every purchase.